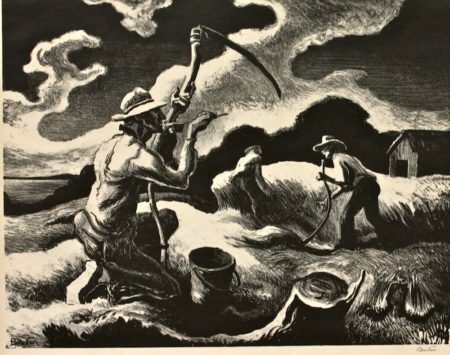 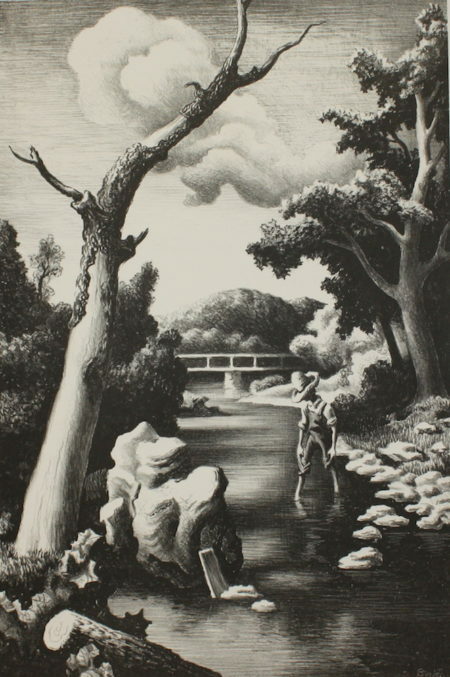 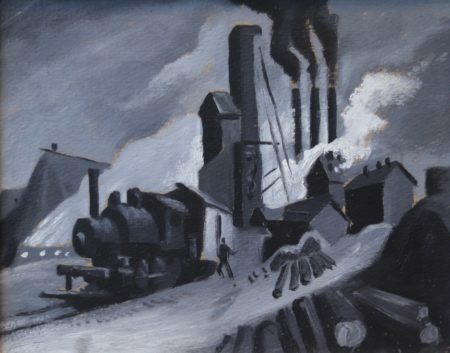 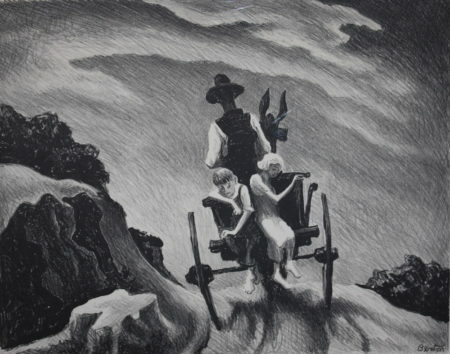 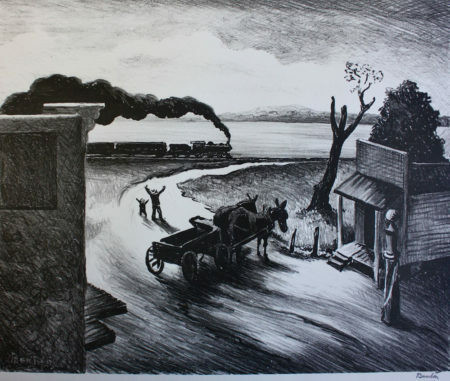 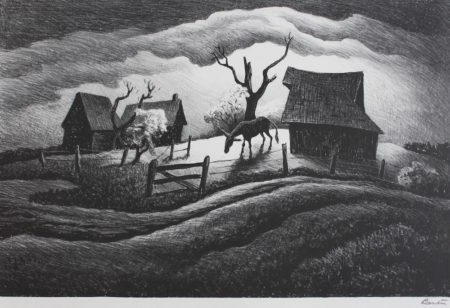 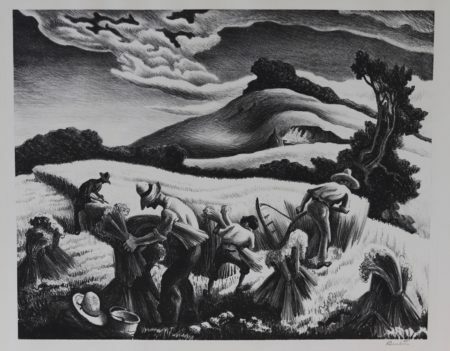 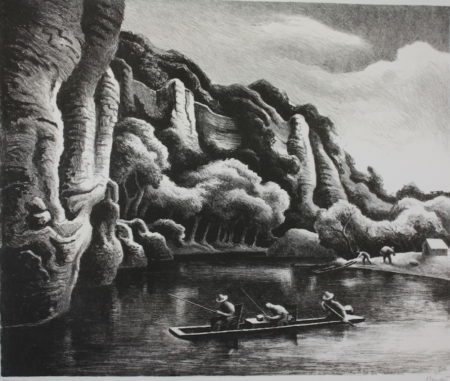 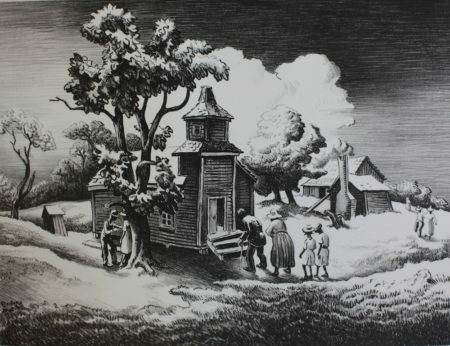 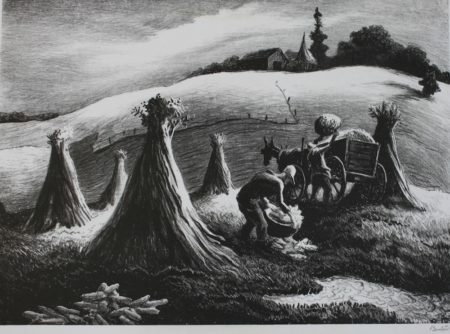 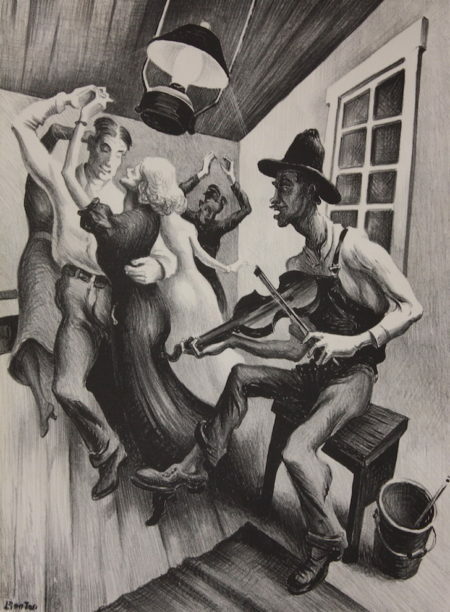 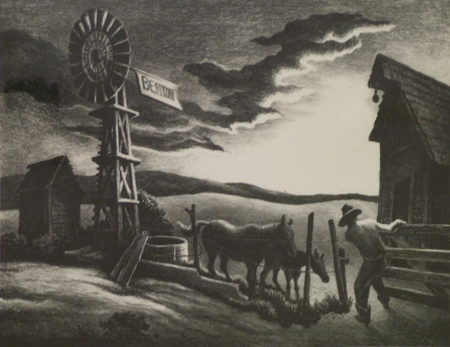 Benton, an American master regionalist painter and printmaker, was considered the most important artist of the American scene. 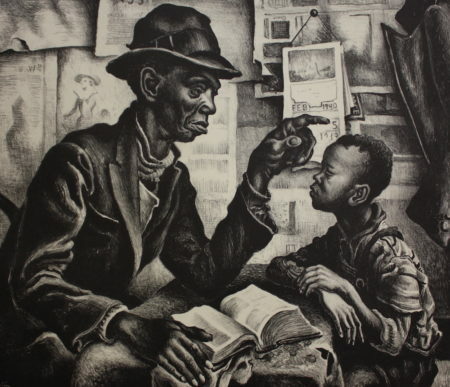 His uncle was a senator and his father a congressman. 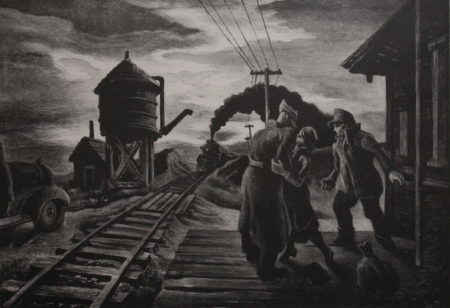 He studied at the Art Institute of Chicago and the Academie, Paris. 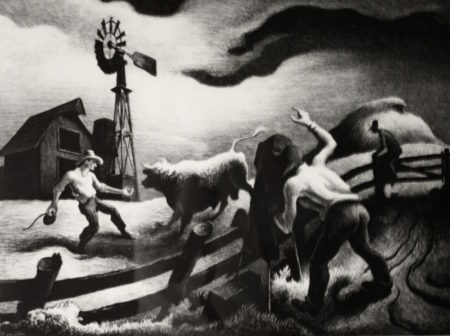 He and his family lived in Kansas City and NY, where he taught Jackson Pollock, among others.